Over the years, certain pop culture icons have been invented to update themselves with modern times, connect with new audiences or bring themselves back into the limelight. 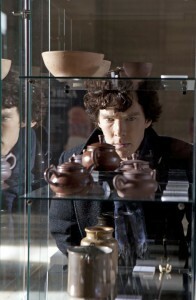 Sherlock Holmes is without a doubt one of those characters. Now before you just jump to conclusions, I’m not talking about the 2009 Guy Ritchie film that stars Robert Downey Jr. and Jude Law. I am talking in fact about the 2010 BBC series that takes the detective and puts him in modern day London that chances are you were unaware of. 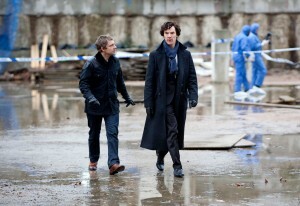 Much in the BBC style, Sherlock doesn’t quite fit the television norm for American viewers. The first series (or season in US jargon) was only 3 episodes with each episode essentially being as long as a movie with run times around the hour and a half to two hour mark. Like most of my discoveries, this one can be attributed to a random find on Netflix but credit goes solely to my wife Melissa for this find. After devouring the 3 episodes available on Netflix Instant, she purchased the DVD where one night we sat and watched all three episodes back to back. The title character is played by Benedict Cumberbatch who movie buffs will know from Atonement and will soon “see” in The Hobbit as the voice of Smaug the Dragon and as the new villain who ISN’T Khan in Star Trek II. Martin Freeman who fans will recognize from the original Office, plays Dr. John Watson. Like his co-star, he too will be in The Hobbit as the lead, Bilbo Baggins. The two play well off each other as they combine a mutual respect, like and even annoyance with one another. In a way it’s a lot like the relationship that would develop in the later Pirates films between Depp and Rush. Cumberbatch and Depp play the outlandish, genius whose one step ahead of everyone else while Freeman and Rush would play the straight laced, badass who at times can barely tolerate their partner. It’s an interesting dynamic as we see Holmes trying to make Watson a better man and help him with his problems, while at the same time slowly driving the good doctor mad. Other recurring characters include the landlady Mrs. Hudson, Dr. Watson’s new girlfriend Sarah, and Detective Inspector Lestrade all of whom help fill in this modern world with classic characters. 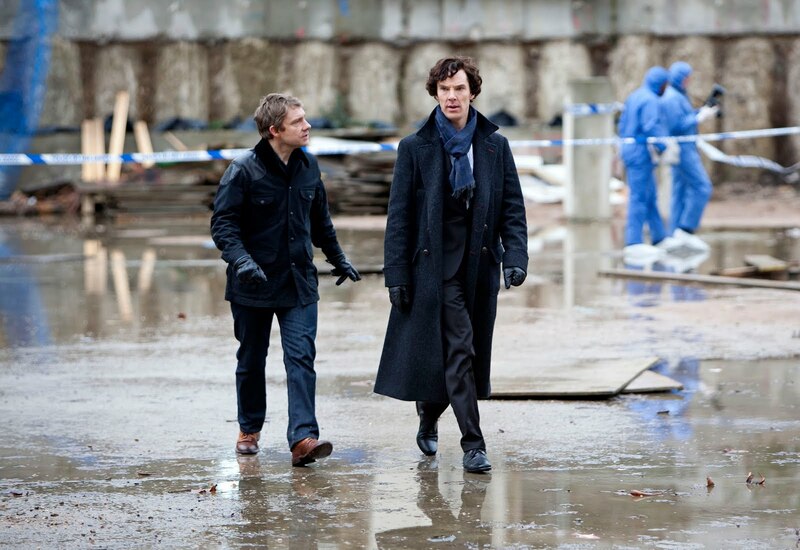 While each episode can be viewed individually like its own stand-alone piece, like most TV shows it features an overall story arc as someone behind the scenes is manipulating events around Holmes and Watson to put them to the test. Anyone who’s read a single Sherlock Holmes novel, seen any TV show or film based on the popular characters can easily guess who’s manipulating said events. The episodes play out in a very CSI-like manner with focus on the case and with most of the evidence given to you, but allowing you to put it together yourself before all is revealed at the end. Though in typical Sherlock fashion, some of the evidence is so out there, you’d really have to be a true detective to find it in the first place. While the show focuses mostly on the drama, much like the 2009 film it features a lot of comedy from Sherlock, his eccentricities leading to him comically interacting with “average people” around him. With the DVD being pretty inexpensive and the episodes available on Netflix Instant, Sherlock is easily accessible to new viewers and with it being awhile before the US will get new episodes, you certainly have the time to play catch up. Like me, you’ll probably end up spending an entire night taking in the first series but hey, that just leaves more time for the special features!